Q. 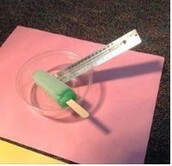 What color construction paper will make a popsicle melt faster, orange, pink or yellow in 30 minutes? 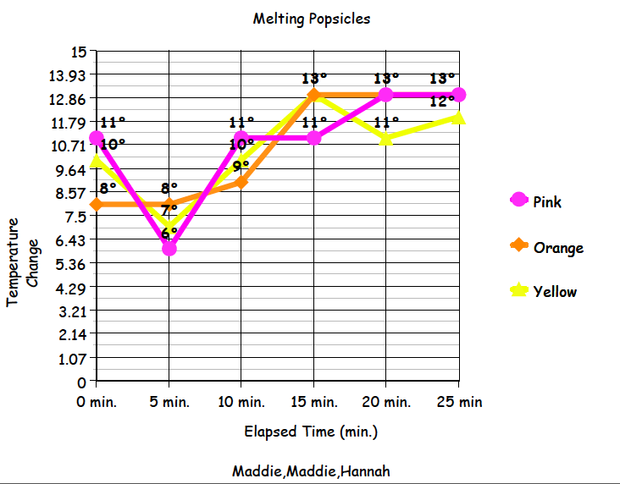 H. Our hypothesis is that orange will melt the popsicle faster because orange is a bit more darker than yellow and pink. 1. 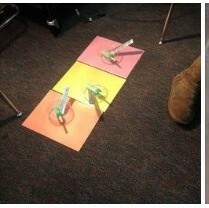 Put 3 pieces of colored paper in front of the heat lamp. 2. Place a container on each piece of paper. 3. Place a lime (green) popsicle in each container. 4. 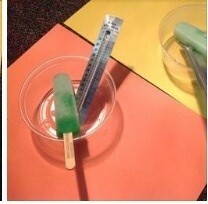 Let the popsicles sit for 5 minutes then check the temperature. 5. Rotate the pieces of paper so each gets the same amount of sun light. 6. 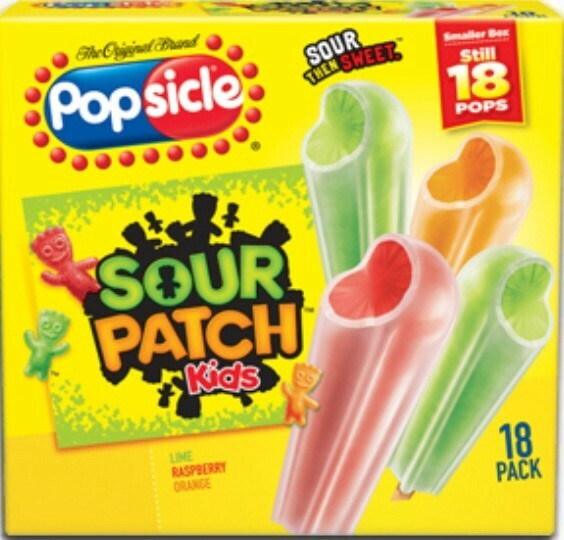 We smashed the popsicles so we could get a better temperature reading. 7. 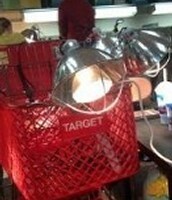 Continued switching the papers every 5 minutes to get the same amount of sun light for each container. 8. Checked the temperature every 5 minutes to get correct temperature readings. 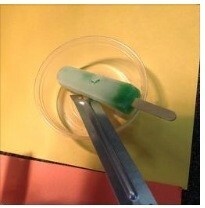 Independent Variable:The color paper and the way the popsicle was broken apart. 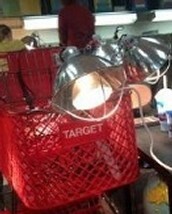 Controlled Conditions: We controlled the amount of light that each container got by every 5 minutes we switched the position of the container under the heat lamp. Thank you for listening and we hoped you enjoyed our presentation. 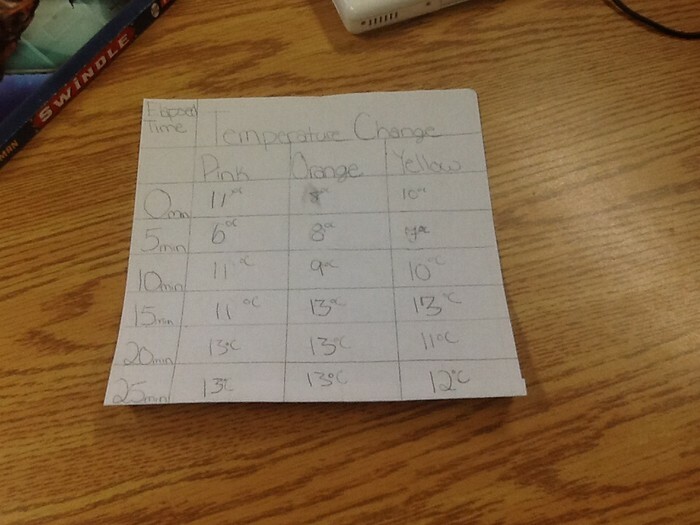 In conclusion our hypothesis was incorrect because we changed more than 1 variable,the ice was chunky on top of one thermometer while the rest of the ice was surrounding the other two.We learned that pink and orange had the most dramatic temperature change after we smashed the Popsicles up.